For 13 years, researchers at Saint Joseph’s have been tracking how the pharmaceutical industry is portrayed in mainstream media. This year, the students and faculty working on the team encountered a unique trend. “For the first time in the project’s history, a topic that was once insignificant in terms of the data jumped from obscurity to the number two industry-connected topic being discussed,” says Steve Porth, Ph.D.’80, professor of management and co-lead for the research. 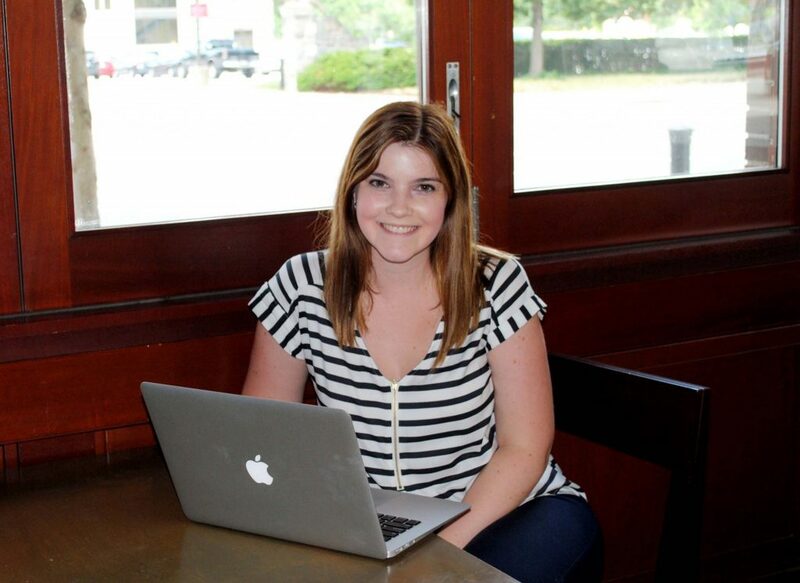 “A large percentage of the articles we’ve been assessing have been related to the opioid crisis, whether the industry’s role in the crisis or its ability to help solve it,” says Summer Scholar Kayla Herbert ’19, who is participating in the research for the first time this summer. Herbert, a native of Robbinsville, New Jersey, is analyzing the slant of pieces toward the pharmaceutical industry — positive, negative or neutral. 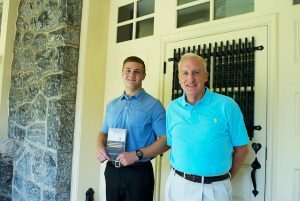 “It’s been interesting to see how the data and healthcare topics intersect,” says Herbert, a pharmaceutical and healthcare marketing major who was drawn to the project after interacting in a class with George Sillup, Ph.D, professor and chair of pharmaceutical and healthcare marketing and Porth’s co-author on the research. 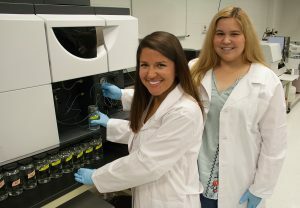 “The work is different from typical classwork because it is very analytical and entirely based on real life situations,” says Herbert, adding that the hands-on experience has taught her about how pharmaceutical industry topics overlap with matters of health, government policies, culture and more. Regarding the opioid crisis, and the number one topic (eight years running) — drug pricing — this is especially true. 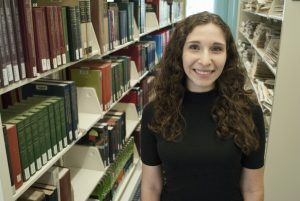 According to Herbert, the process of collecting data on issues related to the industry has changed her perspective on these often complex topics. “By observing a variety of viewpoints and approaches, we’re challenged to consider them from every angle,” she says. For Alexander Velazquez ’20, the value of education has always been a topic that resonated. After taking a class at Saint Joseph’s this past fall that focused on public education in America, his interest grew – but he still had many unanswered questions. “As a low-income student, I feel this overwhelming motivation to do something that could educate people on the growing inequalities in higher education,” says Velazquez. A risk management & insurance and economics double major, Velazquez decided to embark on a research project through the Summer Scholars program as a way to meet this goal. He is researching how a student’s family income relates to individual college readiness and the overall college admission process with respect to GPA scores and extracurricular activities. His research aligns with the work of his mentor, Laura Crispin, Ph.D., assistant professor of Economics. Crispin had previously analyzed trends in outcomes between low-income high school students and their peers with respect to such activities and time allocation. She found that students from disadvantaged backgrounds have less access to extracurricular(s), are more likely to work, and have higher high school dropout rates and lower college attendance and completion rates than their peers. “The answer to the problems in American education policies is not always money; low-income students are in desperate need of adequate primary and secondary education,” says Velazquez. 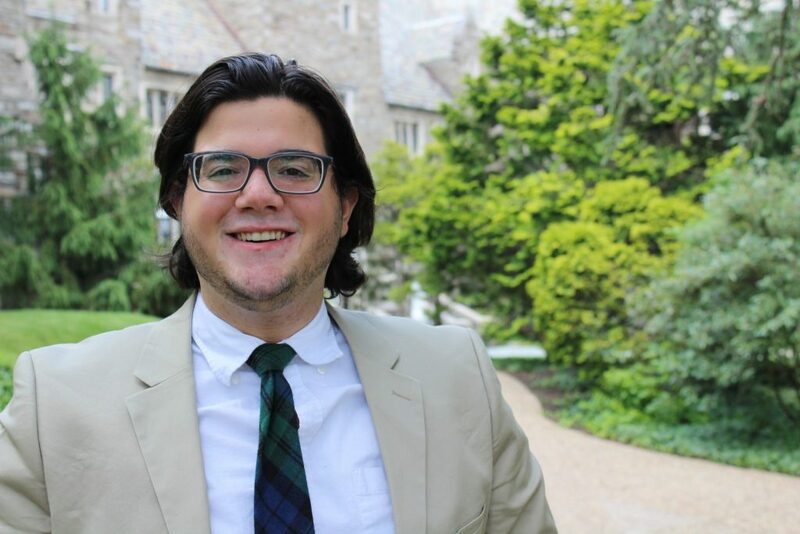 A 2020 Deans’ Scholarship recipient and member of the SJU Honors Program, Velazquez says that earning the scholarship is one of the reasons he decided to explore this topic. 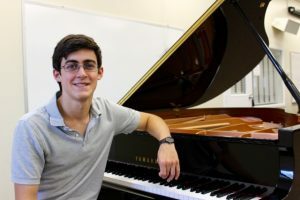 In addition to gaining a better understanding of the American education system, he hopes the work will help him develop time management skills and a more independent work ethic. He also plans to share his findings with the University community once they are complete. 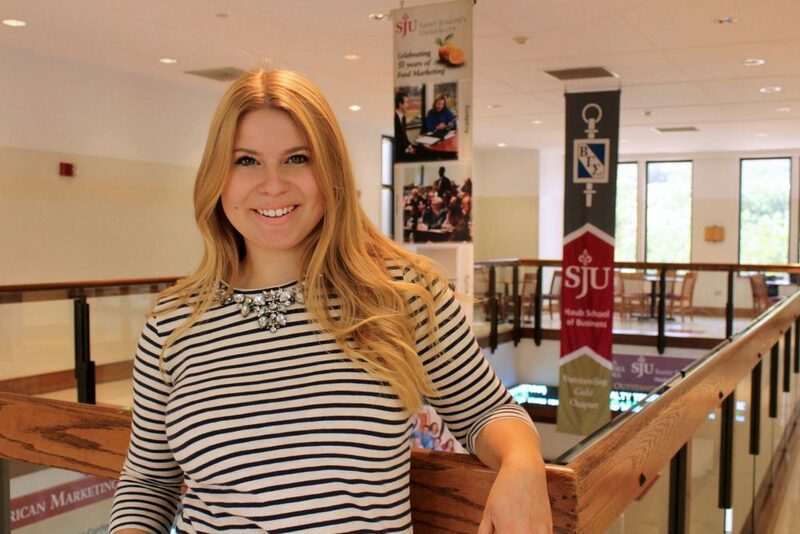 Velazquez was involved in the SJU Theatre Company as a cast member in the most recent casts of “Carousel” and “Tommy” and participates in SJU’s student theatre company, Followed by a Bear. He is also the student communications chair of the Business Leadership Council and a Hawk Host. As a lifeguard on Long Island last summer, aspiring pediatrician Nick O’Malley ’19 made sure to spend extra time helping children with special needs, some of whom had Autism Spectrum Disorder (ASD). 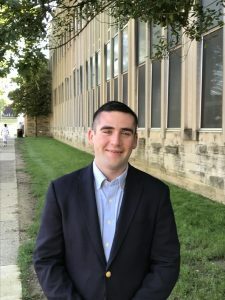 This year, he is staying in Philadelphia as a Summer Scholar to begin work on research that aims to discover if TimeSlips, a storytelling therapy developed for patients with Alzheimer’s disease, can lessen anxiety and increase social interaction in children with ASD. When O’Malley’s advisor Eileen Sullivan, Pharm.D., assistant professor of health services — who has researched the effects of TimeSlips on dementia patients and found that it decreased their agitation and anxiety — told him that another health services professor, Anne Fetherston, Ph.D., would embark on novel research focusing the same therapy on children with ASD, O’Malley jumped at the chance to get involved. TimeSlips is based in the improvisation, imagination and spontaneity that develop when dementia or Alzheimer’s patients are given a photograph they haven’t seen before — for example, a woman playing a guitar, and then they begin to tell the woman’s story. As the story progresses, anxiety and isolation decrease, and pleasant interaction with caregivers increases. Patients focus on the enjoyment that using their creativity brings, instead of the realization that their memory is failing. Fetherston, a Board-Certified Behavior Analyst-Doctoral (BCBA-D) who has provided interventions based on Applied Behavior Analysis principles to multiple populations, including individuals with autism, became intrigued by Sullivan’s findings and wondered if TimeSlips could produce the same positive results in the autism community. While O’Malley and Fetherston are still in the early stages of designing the study, which will continue into the academic year, O’Malley says that the project has received approval to involve children with ASD who attend programs at SJU’s Kinney Center for Autism Education and Support. Project Title: Examining the Effect of TimeSlips Therapy on Anxiety and Social Interaction of Individuals on the Autism Spectrum. Brant Edmonds and Peter Clark, S.J. From court to field, sports fans show their appreciation and team spirit in a variety of ways. But Summer Scholar and biology major Brant Edmonds ’17 is channeling his love for sports in a unique manner: He’s looking at brain development in school age football players, and writing about the ethics surrounding young people who play football and might be exposed to practices that could eventually lead to chronic traumatic encephalopathy (CTE), a degenerative brain disorder caused by repeated concussion. His research goal is to write a paper that will provide guidance and protocols that could reduce the likelihood of these young players developing CTE as they mature. An aspiring physician, Brant read Jeanne Marie Laskas’s (Class of 1980) New York Times bestseller Concussion, and the book served as the catalyst for his project. “After noticing that autopsies of younger players were displaying advanced stages of CTE, I wondered if the disease was beginning much earlier in a player’s career,” says Brant, who adds that he hopes his paper, which will be submitted for publication, promotes awareness of CTE risks among young players and parents. Organized in six sections, his final work will include background information on CTE, an in-depth medical analysis of the disease, a historical view of CTE in American sports, the educational issues caused by football in elementary and high school players, and an overview of associated ethical issues. He’ll conclude his paper by proposing recommendations and safeguards for children rooted in the suggestions of the American Academy of Pediatrics. Brant’s SSP mentor Peter Clark, S.J., professor of theology and health services and director of SJU’s Institute of Clinical Bioethics (ICB), where Brant is a senior research fellow, observes him in a different capacity most week days as Brant attends ethics rounds and other bioethics related meetings at Mercy Health System, where Fr. Clark is the staff bioethicist. Earlier this year, Brant, Fr. 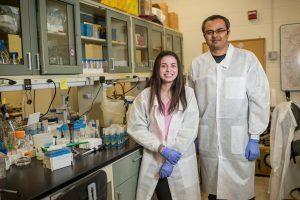 Clark, Ana Maheshwari, a Mercy medical resident, and three other SJU students — Brendan Gleason, Michael DeMuzio and Jennifer Schadt — co-authored a paper titled “Pediatric Brain Cancer Tissue Donation: Ask and You Shall Receive,” which was published in the Internet Journal of Pediatrics and Neonatology 18. The success of the paper helped the ICB develop a formal relationship with the Swifty Foundation in Chicago, a leading funder of pediatric brain cancer research. Both Brant and Fr. Clark look forward to collaborating on various projects with the foundation in the future. During the academic year, Brant participates in Adventure Club and Hand In Hand. He is an RA for St. Mary’s Hall and also works in the University’s Biodiversity Lab, focusing on animal care. 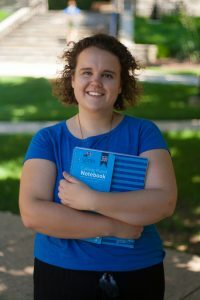 Brant has earned Dean’s List honors and is a member of the National Society of Collegiate Scholars.